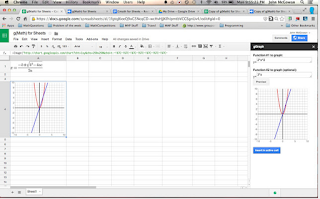 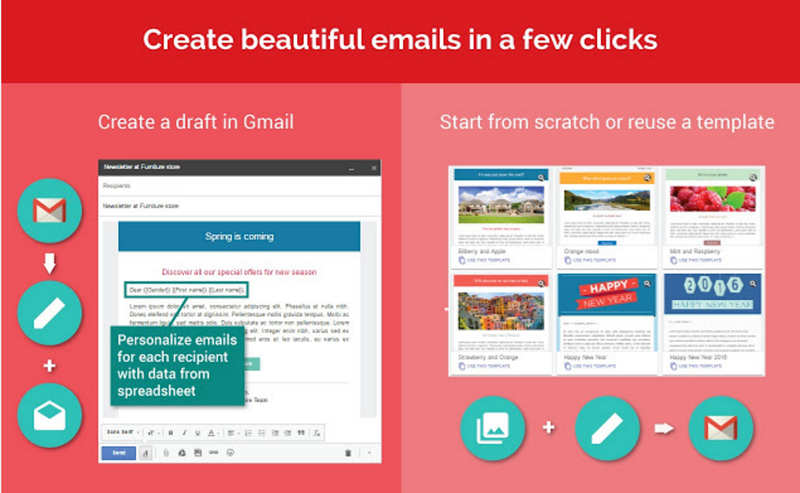 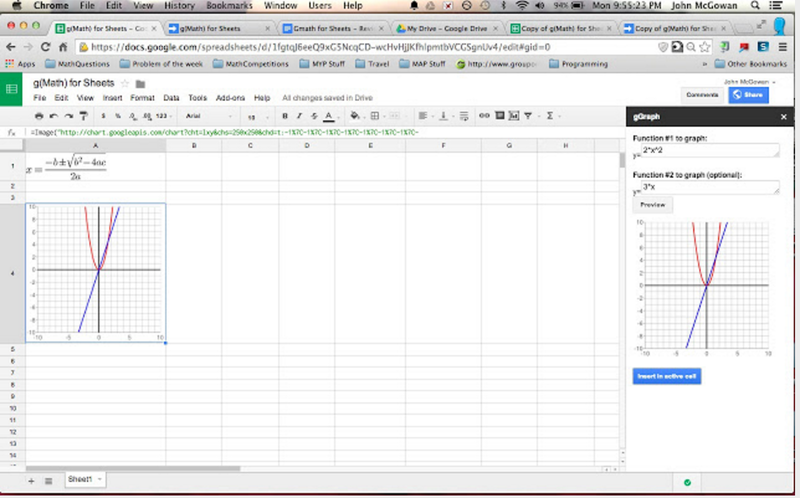 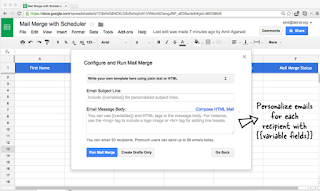 Send personalized mass emails with Gmail and track email opens. 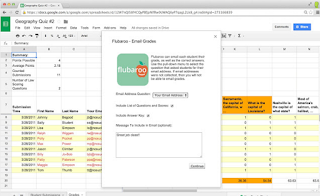 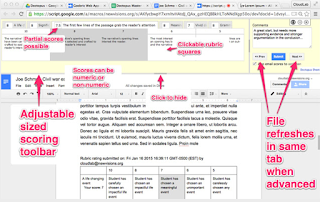 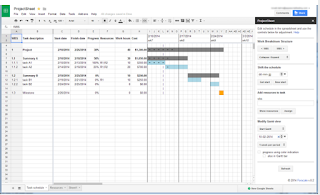 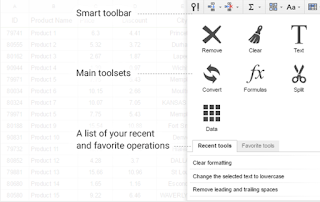 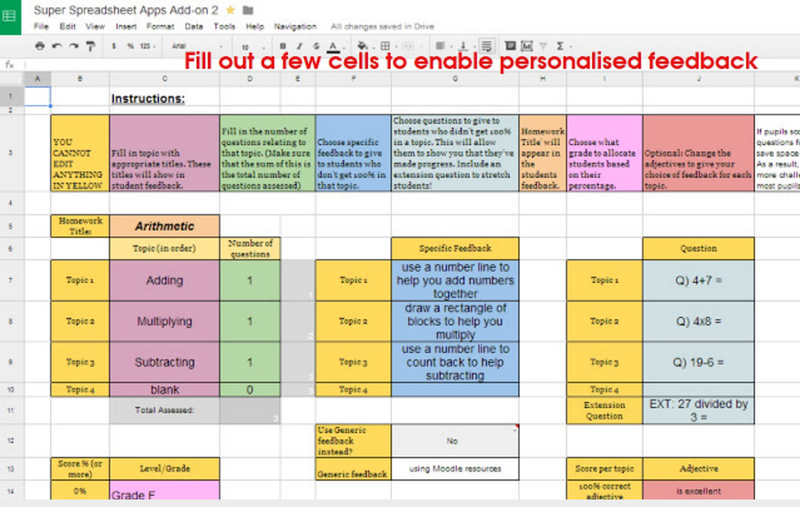 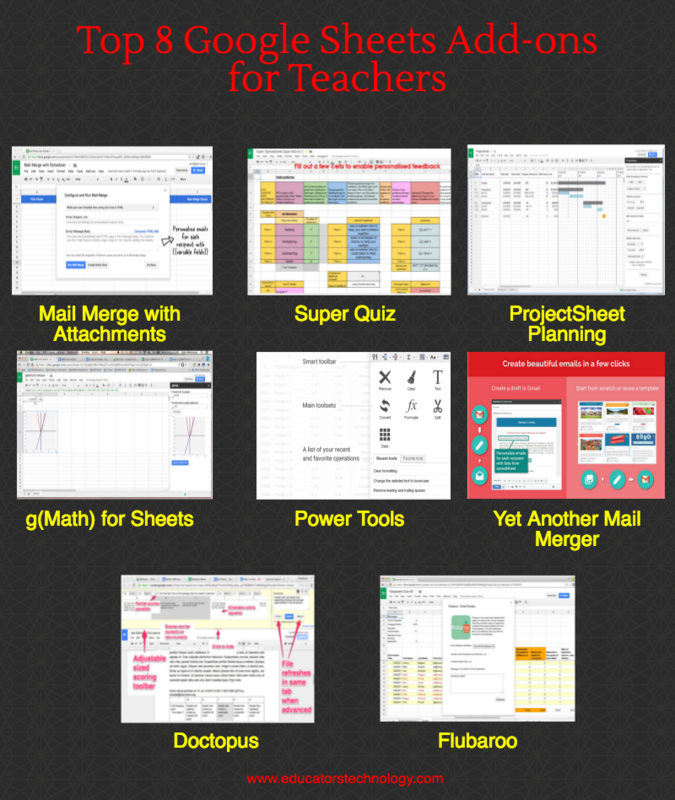 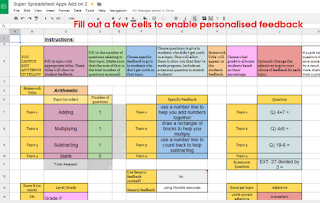 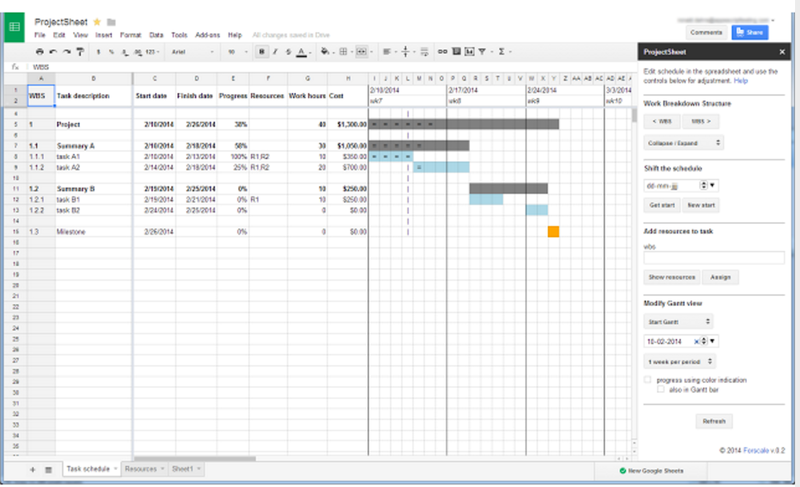 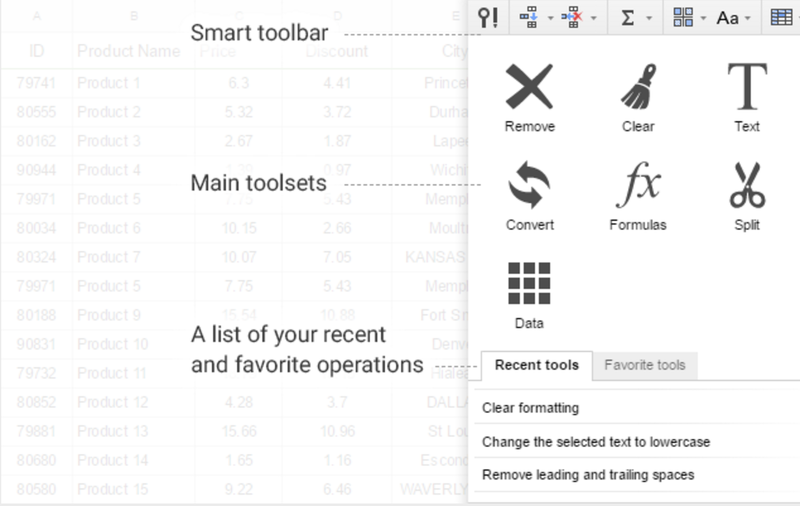 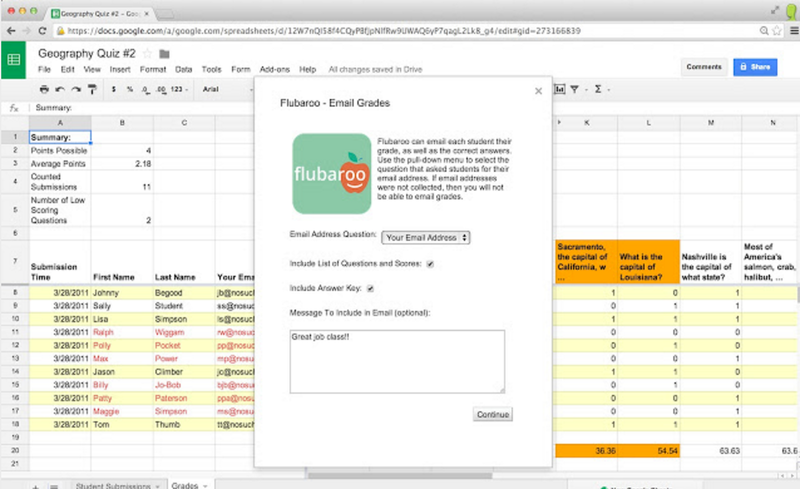 Flubaroo is a FREE add-on to Google Forms/Sheets which lets you quickly grade and analyze student performance on multiple choice and fill-in assignments. 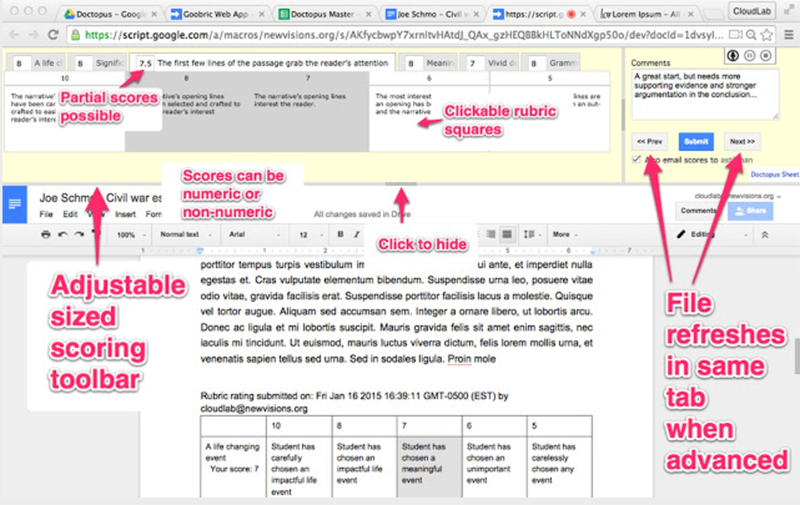 Within a minute you'll be able to: Get scores for each student, and identify students in need of extra help; view average score, and a histogram of scores; quickly identify questions which a majority of the students missed; share scores with students via email or Google Drive, along with optional notes to the class and/or to each student; and assign your own score to open-ended questions.